Cold Browser can affect end user performance. As discussed in several blogs and best practices articles, it could happen due to a variety of reasons such as browser settings, disk space etc. For more information on how cold browser affects performance, please refer to the following blog by my colleague Vera. For performance topics in general please visit section below. 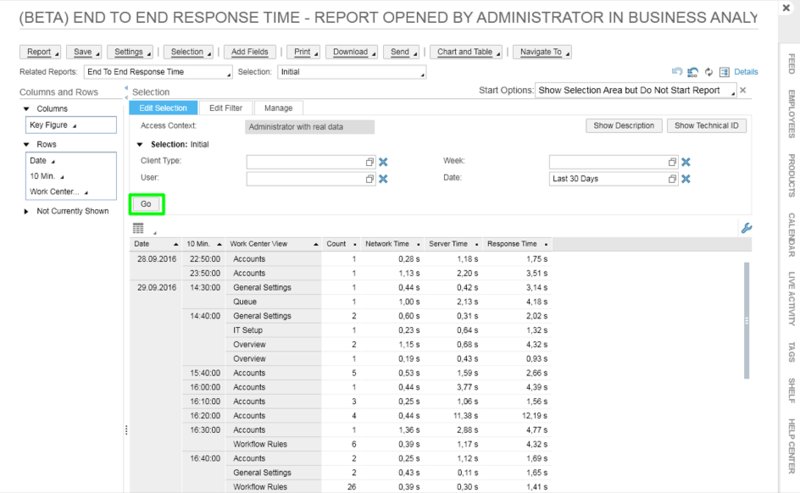 In this blog we will discuss how we can use in-tenant reporting to identify “Cold Browser” situations. Cold/warm ration should be less than 20% (lesser the better). In fact, less than 10% is an ideal condition. Anything above 20% should be investigated for the reasons mentioned in the blog above. Typically static browser content is stored on the local browser cache for one (1) year. Also, static content such as floor plan meta data is pre-loaded during login process. Please refer to blog below on some of the highlights incorporated in 1702. Since 1502 we have enabled performance to be monitored using in-tenant reports. For every user interaction in HTML5/RUI there is a performance statistics record captured and persisted in the tenant. We constantly improve and add additional performance attributes and one can monitor based on this data. Listed below are some of the common attributes. For the full list please check the in-tenant reports. For our task below we will use the Cold/Warm Indicator. 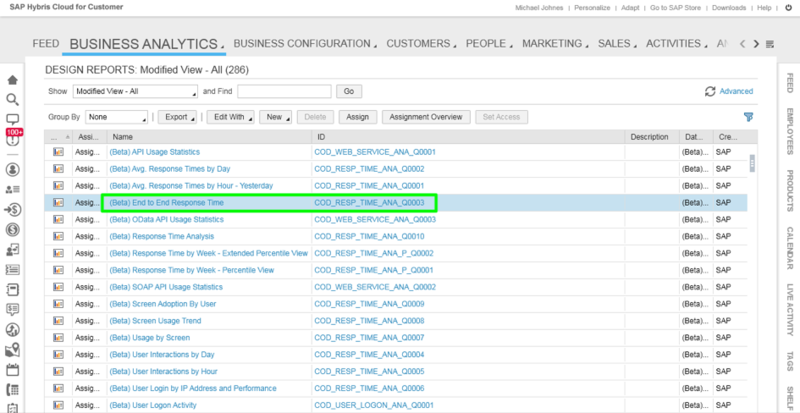 We will now show you how we can create custom reports to accomplish the tasks we mentioned earlier. Please note these reports will soon be available as standard in-tenant reports. In this custom reports we will create “Cold/Warm 100% stacked charts” that will show how many of the user interactions are made up of cold browser. Optimally the less cold % the better but there will always be some cold interactions due to a variety of reasons. As a rule of thumb the ideal scenario is 10% or less and anything over 20% should be investigated. Cold browsers can degrade performance 4-10 times. Therefore it is very critical to monitor this cold/warm ratio. Step#1: Please login to your tenant and navigate to the Business Analytics WorkCentre using Silverlight. 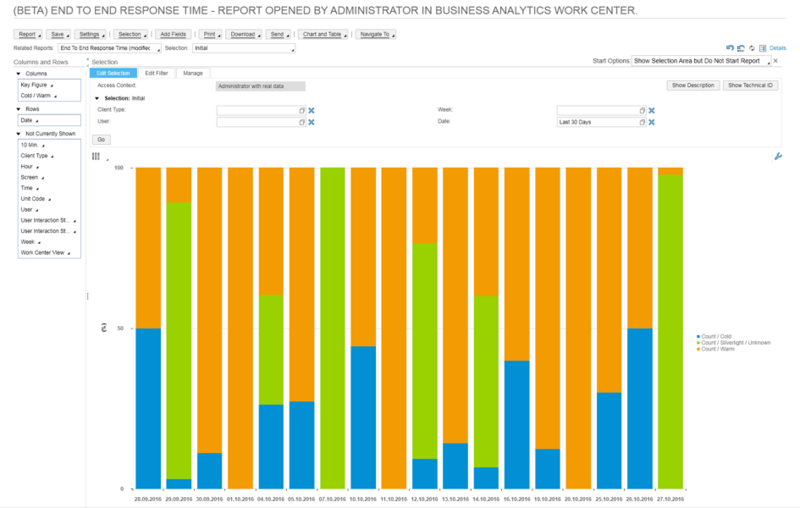 In case you are not able to see the Business Analytics WorkCentre then please contact your admin. 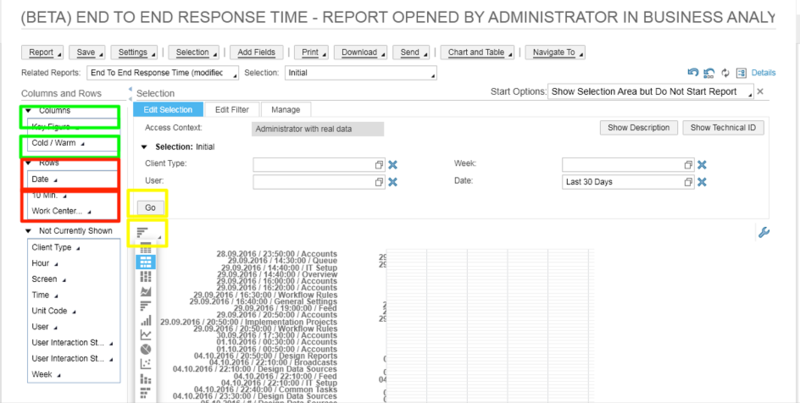 Step#2: Please find and open standard report “(Beta) End to End Response Time” as shown below. 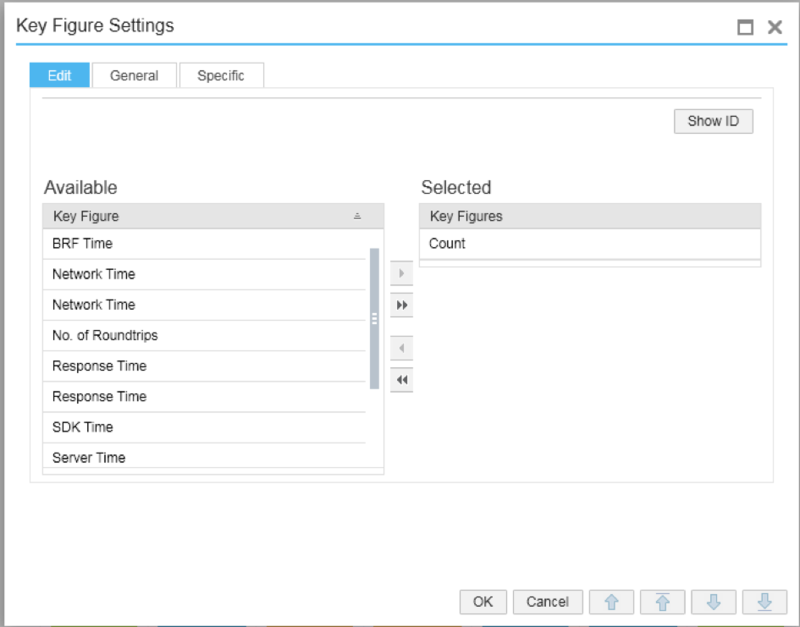 Step#3: navigate to the “Key Figure Settings” under “Settings”. 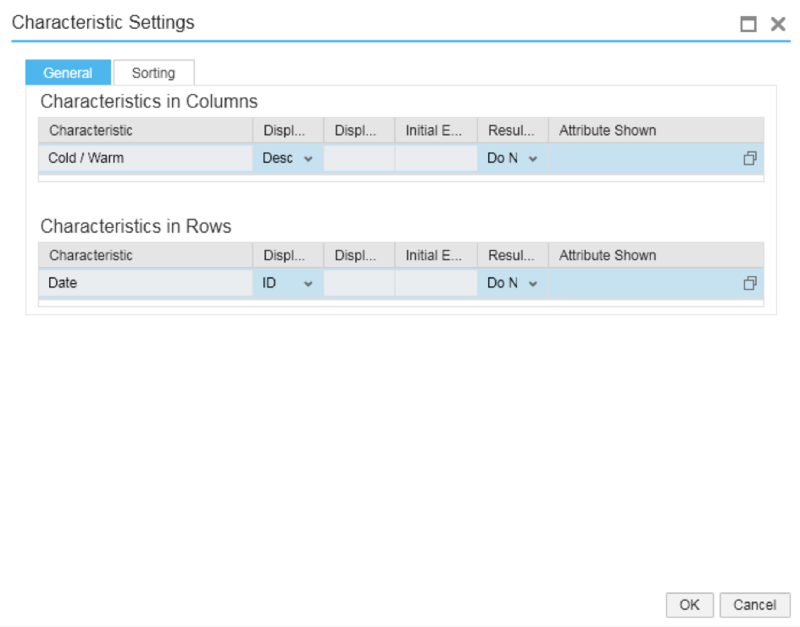 Now adjust the Columns and Rows as shown in the screen below: Add “Cold/Warm” and remove “10 Min” and WorkCenter. Step#5: Finally after hitting go, you should be able to see the chart below. In the above chart we can read the blue bar as Cold HTML5 interactions and the deep yellow as warm interactions. The ones in green are silverlight interactions and can be ignored while evaluating cold/warm tenant health. However, its a good practice to check if users are using silverlight primarily for customization activities or for general use as well. Other than customizations and reporting, using HTML5 or RUI client is recommended.